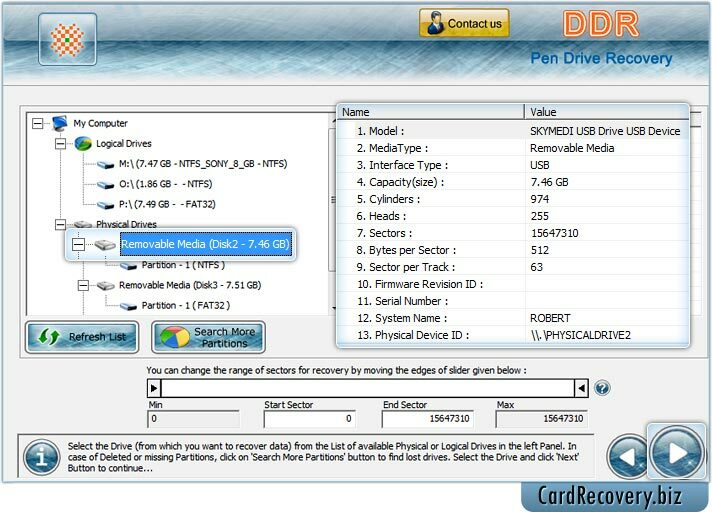 Select removable media (pen drive) from left side and details of disk is displayed in right panel such as Model, Media Type, Interface Type, Capacity etc. Wizard display progress bar to view current status of disk scanning process. 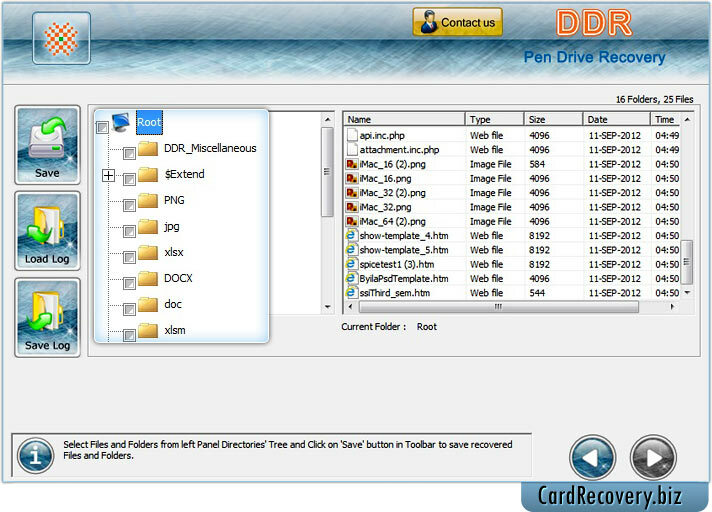 After scanning result is shown in tree structure, select folder from left to view corresponding information (Name, Type, Size, Date and Time).